I know, Atlanta Realtor, I may get some critique from you about this post. I recently read an article outlining important skills a Realtor must have in order to be a “good” agent. They were all good skills but 7 out of 9 were types of marketing know-hows that would somehow prove that the real estate professional has deep knowledge, experience and works very hard for the seller. 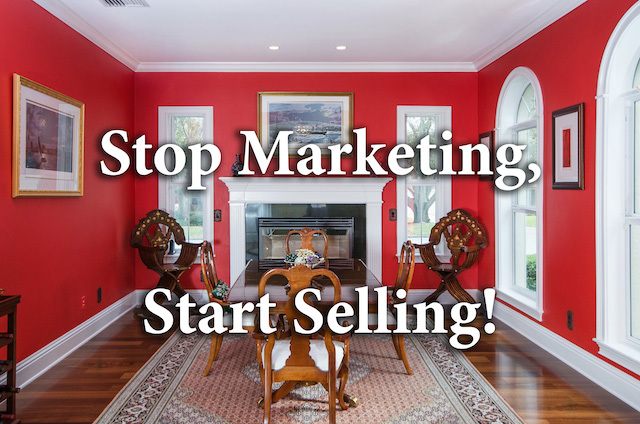 Things like taking good pictures, creating high-quality brochures, writing a property description, help you prepare your house for a showing, etc. I LOVE all these things, and that’s precisely why I don’t sell real estate any more. I like being a marketer more than a sales person. A Realtor is a sales person? Of course! Last time I checked it’s commission kind of work. So, if I wanted to list my home for sale, what qualities would I seek in my listing agent? Marketing skills? I’d put those at the end of the list. Why? Because marketing can and, in my opinion, should be outsourced or delegated. You can control your marketing, you can be the face and voice of your marketing, you can be involved in it somewhat on your personal time (like blogging), but putting together brochures, editing videos, taking pictures, fixing websites – is time that should’ve been spent building relationships, finding business, working with your sphere of influence and with your leads. Some may say: I can’t afford to pay someone else to do my marketing. What you can’t afford is spending your time on it instead of focusing on generating business. Trust me, I’ve made that mistake. 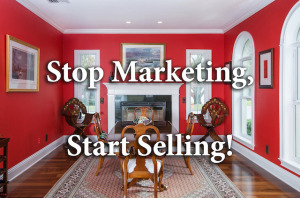 Even your most creative marketing efforts that will generate you leads are worthless if you are not working those leads. Do you eat your lunch alone? What are you doing with your 500+ friend list of Facebook? Your 10 closest friends – do you know what’s going on in their family life? Do you know 5 most successful people in your town and do you know if they have a Twitter account? Do you follow? Answer these questions before you spend two hours making a brochure or thinking about your marketing plan. I work with John Brokalakis at Future Home Realty and I was just discussing how I want someone that I can trust to do video for new listings. Buckhead Condo Views Taking Real Estate Interior Photos – What Is The Best Method?